(5) These areORIGINAL EF-M2 v2 adapters. Not grey product or counterfeit. Warranty details are sent with the adapter. Plus 0.71 based on the original focal length (equivalent focal length=focal length x0.71), which help enlarge 1 level aperture. This focusing helicoid tube is made with 42mm front mount and standard 42mm rear mount and is made with light-weight alloy. This tube useful for lens without focusing ring. And it can be use as macro extension tube. This adapter have dual design can fit both C Mount and M42 lens. Use this adapter with M42 screw mount helicoid (cannot focus). M42 Screw Lens. Dual purposes. This adapter has 3 layers. The front aluminium has scratches but that will not affect the function. Watch this space for more NX mini adapters in 3 weeks. LIMITED PRODUCT LIABILITY. Other Information. Der Adapter überträgt dabei keine elektronischen Daten. Mit diesem Adapter können alle Nikon F Objektive an sämtlichen. Objektiv Adapter. Sony NEX-3, NEX-5, NEX-C3, NEX-5N, NEX-7, NEX-F3, NEX-5R, ,NEX-6. Die Verschlusszeit wird im Zeitautomatikmodus automatisch gewählt. Mit diesem Adapter können sämtliche Canon FD Objektive an allen. Objektiv Adapter. Die Verschlusszeit wird im Zeitautomatikmodus automatisch gewählt. Mit diesem Adapter können sämtliche Minolta AF Objektive an allen. Objektiv Adapter. Minolta AF Sony Alpha - Canon EOS Adapter. IShoot IS-RT1 tripod mount ring is designed for Nikon 300 F/4E PF and 70-200 F/4G lens. Arca swiss type quick release plate, compatible with Arca-swiss, Kirk, Wimberley, Markins, Sunwayfoto, Kandgrinpoche, Benro, Sirui, Marsace, ishoot products including IS-JZ30, IS-JZ50, IS-JZ64, IS-QJ58, IS-QJ64, IS-JZ60BK, IS-JZ70MFT, IS-JZ80BK. 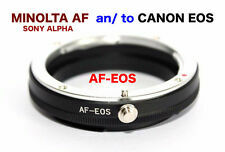 M42 to all Canon EOS mount adapter ring. 1 x M42 to EOS ring adapter. As long as the body takes Canon EF lens. ALL Canon EOS DSLR and Film SLR. Although the lens will fit physically, automatic diaphragm, auto-focusing, or any other functions will not operate correctly while using this adapter. 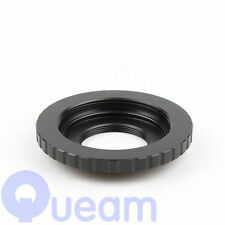 52mm Macro Reverse Adapter Rear Lens Protection Ring. 52MM Ring Adapter. This greatly increases the macro reproduction range. In addition,the ring have 58mm screw mount,you can attach filter such as UV,CPL and lens cap to prevent dust getting into the lens. This tube useful for lens without focusing ring. And it can be used as macro extension tube. It could be used as Macro Barrel. HOT Detachable 3-bit Lens Adapter For Exakta to M42 Screw Mount. Detachable 3-bit Exakta Lens to M42 Screw Mount Adapter. Exakta Lens. 1x Detachable 3-bit Exakta Lens to M42 Screw Mount Adapter. Its 3-bit code allows you to work more precisely with your M42 Screw Mount. D5600 D3400 D500 D5 D7200 D810A D5500 D750 D810 D4S D3300 Df D5300 D610 D7100 D5200 D600 D3200 D800/D800E D4 D5100 D7000 D3100 D300S D3000 D3X D90 D700. M42 Screw Mount Lens. Through the use of a optical glass correction lens, this adapter is designed to maintain infinity focus. Adapter for M42 Lens Camera SONY NEX E-mount. It allows to focus to infinity. install, remove and use soft lens. Super smooth surface finish and metal, solid enough. 1*Adapter Ring Note:Light shooting and different displays may cause the color of the item in the picture a little different from the real thing.The measurement allowed error is /-1-3 cm. Brand Unbranded MPN Does not apply UPC 190268021401 EAN 190268021401 ISBN 190268021401. Allows focus to infinity.Supports A / M mode.With lock pin and stop screw.Built-in tripod Mount.Material: Metal.Smooth surface for effortless mount.Dimensions (cm) 7.5 x 7.5 x 3.2, Weight (kg) 0.103.Note :Although the lens will fit physically, automatic diaphragm, auto-focusing, or any other functions will not operate correctly while using this adapter.To use manual lenses on Sony NEX camera, please enable "Release without lens" function in camera menu.Compatible with:Sony E Mount Camera. (For A7, A7R, which are full frame cameras, there may possibly have dark corners on photo when using some lens, not compatible with A7S)Color:as shownPackage content :1 x Adapter for AF MA lens to Sony NEXNote: Light shooting and different displays may cause the color of the. Die Verschlusszeit wird im Zeitautomatikmodus automatisch gewählt. Mit diesem Adapter können sämtliche Minolta MD Objektive an allen. Macro Objektiv Adapter. Minolta MD - Canon EOS Adapter. ES IST SPEZIELL NUR FÜR MACRO SHOT ! 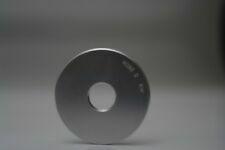 Genuine Voigtlander LTM to Leica M mount lens adapter. By adding a tripod collar to your lens you can achieve a better balance when mounted on a tripod. Only for Canon EF 70-200mm f/4L, 70-200mm f/4L IS, Canon EF 70-200mm f/4L IS II USM. NOT suitable for Canon EF 70-200mm f/2.8L. Compatible Canon Model: 100D 1000D 1100D 1200D 400D 450D 500D 550D 600D 20D 30D 40D 50D 60D 7D 5D Rebel T1i T2i T3. 1 x M42 to Cannon EOS Mount Adapter. Although the lens will fit physically, automatic diaphragm, auto-focusing, or any other functions will not operate correctly while using this adapter. Missing plastic cover for one side of converter - only has plastic cover for one side of item. Macro Extension Tube Ring Set for Nikon mount D-SLR. Nikon DSLR D3000/D3100/D3200/D3300/D3400/D700/D300/D300s/D5000/D5100/D5200/D5300/D5600/D700/D7000/D7100/D7200/D800/. This Extension tube set does not affect image quality as there is no optics inside. M42 Lens To Fuji FX Adjustable Focusing Macro to Infinity Adapter Helicoid Tube. M42 srew mount Lens to Fuji FX mount adapter. 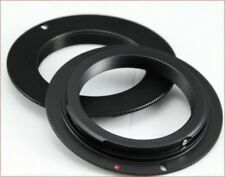 The newest design product, lens adapter combine helicoid macro tube. Support both MACRO SHOOTING with helicoid adjust focusing and INFINITY FOCUSING. Compatible with:All M42 Mount Lenses Such as: Zeiss, Pentax, Praktica, Mamiya, ZenitAr Nikon F Mount CameraS Such as: D7000, D5000, D3100, D3000, D90, D80, D70, D60, ect. 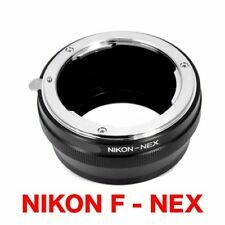 Package Included: 1x M42 Lens to Nikon F Mount Adapter Ring (With Optical Glass) Brand Unbranded MPN Does not apply UPC 4894462276891 EAN 4894462276891 ISBN 4894462276891. Focus infinity.Diaphragm control of the lens is set manually.Superior quality, top class precise design.It is designed for Fujifilm X-Pro1 interchangeable lens digital camera.This adapter ring allows you to use your Nikon F Mount lens on your Fujifilm Fuji X-Pro1 X-E1 Camera, saving you the expense of a costly and irreversible conversion.Color: BlackMaterial: metalAttention: Auto Focus will not be available, and it's recommended to use Manual / AV modes.Suitable For: Nikon F Mount lens.Fujifilm Fuji X-Pro1 X-E1 Camera.Note: It is designed for Fujifilm X-Pro1 interchangeable lens digital camera, not suitable for S2Pro/S3Pro /S5Pro DSLR camera or other X-series prosumer digital camera.Package includes:1x Lens Adapter For Nikon F Mount lens to Fujifilm Fuji X-Pr. Die Verschlusszeit wird im Zeitautomatikmodus automatisch gewählt. Mit diesem Adapter können sämtliche Yashica C / Y Objektive an allen. Objektiv Adapter. ES IST SPEZIELL NUR FÜR MACRO SHOT. Yashica - Nikon AI Adapter. Such as: Nikon Df, D5300, D610, D7100, D5200, D600, D3200, D800/D800E, D4, D5100, D7000, D3100, D300S, D3000, D3X, D90, D700. -Ring mount made of steel with lens compensation. -Made of Aluminum and Brass with High Quality. Combined with 3 tubes in different length: 12mm, 20mm, 36mm, tubes may be combined for greater magnifications. Material:ABS, PC Color:Black Macro tube size:6.9 * 7.7cm / 2.7 * 3.03in (D * H) Macro tube weight:176g / 6.2oz MK-N-AF1-B Macro Extension Tube Set Supports accurate Autofocus. Combined with 3 tubes in different length: 12mm, 20mm, 36mm, tubes may be combined for greater magnifications. Support accurate Autofocus. Built-in electric pins. Compatibility: for most Nikon lenses and Nikon DSLRS (such as Nikon D7100, D5300, D5200, D3200, D800, D800E, D5100, D7000, D3100, D300S, D5000, D700, D300, etc.) Made of high-quality ABS that is more strong. Upgraded circuitry to work better with digital SLRs cameras and SLR lenses. Superior lock pin which can tighte. Colour:blackDiameter of the tubes: Approx. 61.5mmTube length: 10mm 16mmMaterial: metalApplicable to Olympus Panasonic four thirds Micro-M4/3High Quality New BrandThis automatic macro Extension Tube Set is designed to enable a lens to focus closer than its normal set minimum focusing distanceGetting closer has the effect of magnifying your subject (making it appear larger in the viewfinder and in your pictures)They are exceptionally useful for macro photography, enabling you to convert almost any lens into a macro lens at a fraction of the cost while maintaining its original optical qualityThe DG II extension tubes have no opticsThey are mounted in between the camera body and lens to create more distance between the lens and film planeBy moving the lens father. It is also fit the BlackMagic. Olympus E-M5 II E-M1 E-M5 E-M10 E-PL6 E-P5 E-PL5 E-PM2 E-P3 E-PL3 E-PM1 E-PL2 E-PL1 E-P2 E-P1. Panasonic GH4 GM1 GX7 GF6 GH3 G5 GF5 GX1 GF3 G3 GH2 G2 GF2 G1 GF1 G10. Compatible with. Miranda Dual mount lenses onto Sony E mount Adapter. Mouseover to Enlarge. This adapter can not be compatiable with Full Frame Camera and 650D, 700DAlthough the lens will fit physically, automatic diaphragm, auto-focusing, or any other functions will not operate correctly while using this adapterIn this case since the lens does not have the ability to have its aperture controlled by the camera body You can shoot with manual mode or aperture priority modeFor this inchAF inch adapter, it is didn't mean you can use Auto focus, it only have an indication (bee sound) when you manual focus actuallyFor Nikon F AI AIS lens to EOS EF 5D 7D 600D DC192 This fabulous Adapter can enable EOS cameras to work with a variety of accessories It will allow the EOS owner to widen the scope of photography they undertakeWith AF-Confirm ChipEXIF is fi. 600D(T3i/X5), 550D(T2i/X4), 500D(T1i/X3), 60D, 60Da, 50D, 40D, 5D Mark II, 7D, 1100D(T3/X50). AF comfire adapter. NOT work with EOS 1D series, 760D(T6s/8000D), 750D(T6i/X8i), 5DS(R), 7D II, 6D, 70D, 5D III, 100D(SL1/X7), 700D(T5i/X7i), 650D(T4i/X6i), 1200D (T5/X70), 30, 30V & 33V. Superior quality, outstanding class and precise design. Material: metal and copper (no plastic) It allows focus to infinity Package: 1 * Lens Adapter Ring Note:Light shooting and different displays may cause the color of the item in the picture a little different from the real thing. The measurement allowed error is /-1-3cm. Brand Unbranded MPN Does not apply UPC 4894462400500. This macro extension tube set is suitable for Sony NEX E-mout. This tube enables a lens to focus closer than its normal set minimum focusing distance.Built-in electric pins, so it supports automatic focusing, automatic exposure, TTL, etc.Combined with 2 tubes in different length: 10mm, 16mm.can be used in any combination or individually to obtain the different magnification.Superior lock pin which can tighten the tube joint.Perfect for macro shooting.Color: blackSuitable for: Sony NEX E-mout camerasMaterial: Metal & plasticMacro tube size: 6.3 * 3.2cm / 2.5 * 1.3in (D * H)Macro tube weight: 65g / 2.3ozPackage List: 1 * Extension Tube Set1 * User ManualNote:Light shooting and different displays may cause the color of the item in the picture a little different. Triplus Pentax K fit extension tubes. Der Adapter wird ohne zusätzliches Werkzeug montiert. Sie sind zur Rückgabe gebrauchter Batterien als Endnutzer gesetzlich verpflichtet. Die auf den Batterien abgebildeten Symbole haben folgende Bedeutung. PER ALTRI ANELLI. NON SI ACCETTANO RECLAMI. I TEMPI SONO MOLTO VARIABILI. Die Verschlusszeit wird im Zeitautomatikmodus automatisch gewählt. Mit diesem Adapter können sämtliche M42 Objektive an allen. Objektiv Adapter. M42 - Nikon F Adapter. 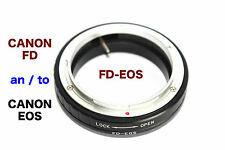 M42 lenses are not interchangeable with FD optics, as they have different flange bases. Set M42 lens. Put the adapter and lens collar together. MINOLTA 2X M/A CONVERTER-S Made in Japan "READ"